The North Korean government issued a statement on Sunday threatening the White House, Pentagon and entire U.S. mainland of "bold counteraction" over accusations that the government of Kim Jong Un is responsible for the hack on Sony Pictures that forced the film studio to cancel the release of "The Interview." "The army and people of the DPRK are fully ready to stand in confrontation with the U.S. in all war spaces including cyber warfare space to blow up those citadels," read the message by the Policy Department of the National Defence Commission of the DPRK. "Our toughest counteraction will be boldly taken against the White House, the Pentagon and the whole U.S. mainland, the cesspool of terrorism, by far surpassing the 'symmetric counteraction' declared by [President Barack] Obama." The premiere of "the Interview," a comedy about an assassination attempt on Kim starring James Franco and Seth Rogen, was canceled last week after major theater chains across America decided against playing the film. A hackers group had targeted Sony in a major cyber attack, threatening the studio in a number of instances. "We have already given our clear demand to the management team of SONY, however, they have refused to accept," the hackers said in a message, calling themselves "The Guardians of Peace." "Do carry out our demand if you want to escape us. And, stop immediately showing the movie of terrorism which can break the regional peace and cause the war!" Sony Pictures said that the "unprecedented criminal assault" targeted their employees, customers and entire business. Several political and entertainment industry leaders in America, including Obama, criticized Sony's decision to pull the release of the film, arguing that Americans should not be told what to watch by North Korea. 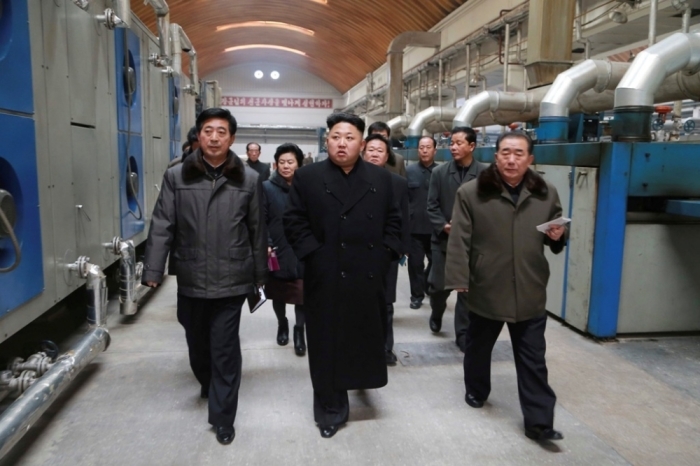 Kim's government has categorically denied any involvement in the hack, and said that it does not know the origins of the "Guardians of Peace" group. On Saturday, North Korea even offered to help in a joint investigation with the U.S., warning of "grave consequences" if Washington refuses. "We propose to conduct a joint investigation with the U.S. in response to groundless slander being perpetrated by the U.S. by mobilizing public opinion," North Korea said. "If the U.S. refuses to accept our proposal for a joint investigation and continues to talk about some kind of response by dragging us into the case, it must remember there will be grave consequences." The latest statement by Kim's government includes a number of heavy accusations directed at America, calling the country an "ill-famed cesspool of injustice," and a "chief culprit of terrorism." "Whoever challenges justice by toeing the line of the biggest criminal U.S. will never be able to escape merciless punishment as it is the target of the sacred drive for cooperation in the fight against the U.S.," the message adds. "The U.S. should reflect on its evil doings that put itself in such a trouble, apologize to the Koreans and other people of the world and should not dare pull up others." Obama previously said that Sony should not have given in to the intimidation and demands by the hackers. "I would have told them, 'Do not get into a pattern in which you're intimidated by these kinds of criminal attacks. ... We cannot have a society in which some dictator someplace can start imposing censorship," the American president advised.